Minister Dickinson said, “In 2017 Bermuda was a place where seniors, the people who laid the foundation for the Bermuda we have today, had not received a pension increase in years. As energy, food and basic necessity costs rose, our seniors were asked every year to do much more with much less. “Security in their golden years… a life with dignity after they retire and respect for the sacrifices they made…that is what our seniors deserve…and that’s why we pledged to do something about the lack of action on protecting the security, dignity and respect of our seniors. “We pledged that we would institute annual cost of living increases for social insurance pensions linked to the rate of inflation to help lessen the hardships that too many of our seniors now endure. That pledge has now been kept. “On Friday, December 7, 2018 we increased Contributory Pension benefits with effect from August, 2018. “Accordingly, the Ministry has increased contributory pension benefits by 1.4% beginning this month, back dated to August 2018 when benefits are typically increased. Benefits under the Contributory Pension Fund [CPF] were last increased in 2016 by 3% and in 2017 by 1.7%. “This recent increase is great news for our seniors receiving a Government pension. It means more money in their account every month; money they can use to pay bills, buy groceries, take care of medical expenses or just purchase something nice for themselves. “The well-being of our seniors is very much a priority for this Government and we want to make sure that as the cost of living increases, so do their benefits. “Based on the Consumer Price Index, the cost of living increased by 1.4% from July 2017 to July 2018, when the last increase was granted. This benefit increase fully covers the prevailing rate of inflation; therefore, the Ministry of Finance is of the view that the increase meets the policy objective to assist our seniors. “As noted previously, the increase in the benefits rate would be made effective on August 16, 2018, which means that all beneficiaries would see the increase and back pay to August 2018, reflected in their payment in the January 15, 2019 benefits payment. The 2018 increase in benefits would normally be accompanied by a corresponding increase in contributions by an actuarially recommended rate of 3.9%. “However, in the 2018 Throne Speech, we announced that Bermuda’s social insurance system will be changed from a fixed-rate contribution to one based on a percentage of income. “Therefore, contribution increases will be delayed until the actuary completes the modelling to effect this policy objective. The actuary is currently working on the 2017 actuarial report for the CPF and it is anticipated that this report will be completed in the second quarter of 2019 at the latest. Contributions were last increased in August 2018 by 4.2%. “As at 30 September 2018, the Fund had total assets of over $1.9 billion, representing approximately 11.7 times the annual value of benefits paid in the 2017/18 fiscal year. Considering the relatively strong position of the Fund, it is anticipated that the Fund can withstand the one year delay in contribution increases. However it is critical that the increased contributions come into force in August 2019. 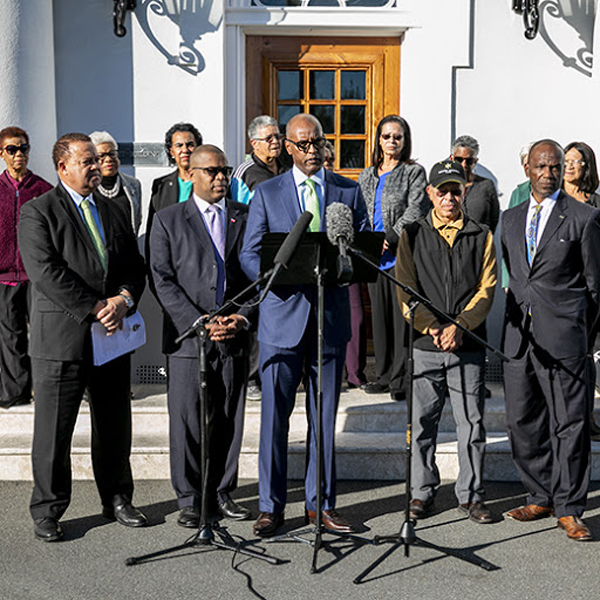 “Of note, the former Government who now deride this effort to protect the security, dignity and respect of our seniors, made Bermudians in their golden years wait five years for a pension increase…the longest period of time between increases since the UBP was in office. August 2011 with an increase of 3.0 per cent. August 2017 with an increase of 1.7 per cent. And now August 2018 with an increase of 1.4 per cent. “In every case, the benefit increase has either exceeded the prevailing rate of inflation or has been in line with the underlying trend rate, thereby placing seniors’ pensions under the CPI in good stead. Will the people who will pay more than others into the pension pot receive more when they retire? Or is this simply taking from one and giving it to another? If so how is that fair at all? So 2012-2016 our Seniors did’nt get an increase? Oh I forgot SongeBob told them money dont grow on trees and you just dont get get it, then turn around and pulled $77 Million out off thin air for a sailboat race for Billionaires. Thats why their Dumb @$$€$ got voted out!!!!!!!!!!!!!!!!!!!!!!! Since you seem to be simple it was the plp that absolutely screwed the pension fund and then you complain about a sail boat race that more than tripled it’s initial investvestment. Where is the 800mil? It blows my mind you can actually be this stupid. It blows every voters mind that you placed Craig Trump back as the oba/UBP leader LOL. That’s dumbest decision yet. Your telling me a party that’s 95% white and 5% black couldn’t find someone in the 95% to run as leader …..or do you believe a white leader will not make it again……..Please come correct. I would like to invite you to name one thing the plp has done that successfully brought money into the island. You cant, I saved you time. Now let’s talk about every single project the plp had their hands in with massive cost ever runs. A simpleton like you will be happy with re-naming a day that nobody will actually acknowledge. 32 years of my life and I didn’t even know we had a day for Somers lol. Hey welcome back you waste of space. Missed your uneducated rants. Keep singing the same tune while your beloved group of numpties leads you to fourth world status. Hope you’ve been stocking uip on Pedigree. OJ you should be more concerned for future retirees, and make preparations for your pension, because with an underfunded scheme, less people paying in but more money coming out, the Government fund won’t last long. Why did they leave out 2001, 2010, and 2012? The answer is because they think we’re idiots. This is only take from some/one and giving to others….FOH! Unbelievable!! I’m still trying to figure out what has this government done during their tender. Seems like everything they’ve done has been an increase on the public’s finances. Everything has gone up on us! Sugar tax, health insurance increased, now pension increase, food prices increase but not the wages….!! I mean when is this gonna end! Appears to be quite unbalance when everything is increasing besides our wages. We’re still awaiting the Bermuda first campaign promise!! Have you not thought of any ways to generate finances so the country is less dependent on international business?? Wake up people for fs sake!!! How do you call a vote of no confidence? Problem is, there is no real opposition party. Way I see it, carry on down this route and Bermuda is screwed. Those who voted the PLP back in forgot why they were voted out in the first place.